Pop culture seems to be endlessly fascinated with the “big three” of horror, werewolves, vampires, and zombies. I am doing a three-post series which will go over the occult roots of each and the modern day encounters with the various creatures of darkness. For my final post in the series, I am examining zombies. Everyone is familiar with zombies, the undead terrors that have limped their way into becoming a pop culture sensation. They seem to be everywhere–television, comics, movies, books. It seems that nearly everyone has become obsessed with the living dead. 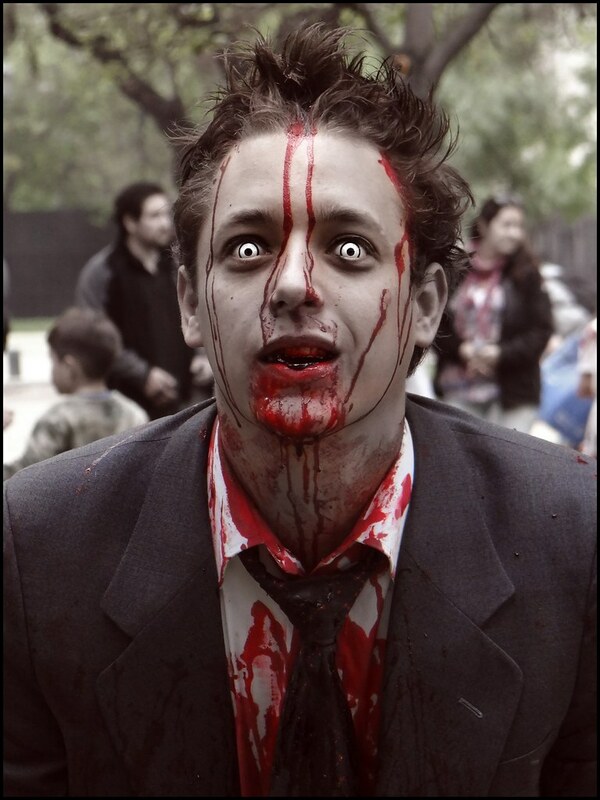 Many people associate the word “zombie” with a rotting corpse which, for one reason or another, has risen from the grave in search of human flesh to consume. The modern idea of the zombie is not the same being as the ancient idea of the zombie. The zombie originates from the religion of Vodun, more commonly known as voodoo. A zombies, in the Vodun concept, is a corpse given life by a sorcerer, known as a bokor. The zombie the is a slave to the bokor, having no will of its own. Some who have investigated this have come to the conclusion that these “zombies” are simply people who were poisoned and as a result were severely brain damaged and are then used as slaves. The idea of a zombie, as we now think of it, is closer to the Arabic idea of a ghoul. Ghouls were considered to be the dead, risen from the dead with a hunger for human flesh. They are said to dwell in graveyards and ruins, and prey on those who travel near their dwelling. Ghouls are also similar to ancient concepts of vampires and the djinn. There are similar creatures throughout the world, the most notable is the Chiang-Shih. Also known as the ‘hopping corpse,’ the Chiang-Shih is a reanimated body of a person whose soul did not leave after death. They are known as the hopping corpse because they cannot walk properly, therefore they must move in a hopping fashion. The Chiang-Shih only begin unable to walk, their body is said to go through a process of transformation after reanimation, their hair turns white and their skin turns a glowing green. Once this transformation is complete, they gain super strength, the ability to fly, and are able to shapeshift into a wolf. Zombies are a complicated and diverse subject, what are your thoughts on it? Tell me in the comments.